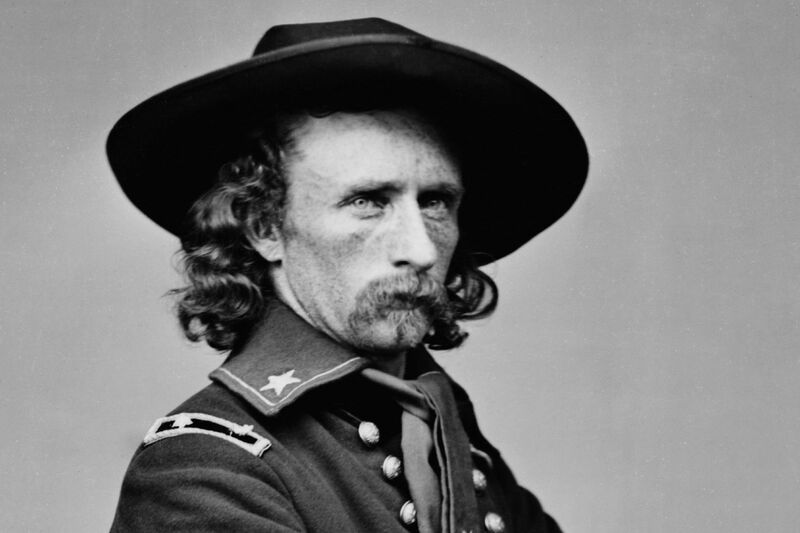 Custer graduated from the West Point in 1861 at the bottom of his class, but distinguished himself in Civil War combat so spectacularly that, at 23 he became brigadier general of volunteers—the youngest general officer in the army. During the war, he acquired a reputation for recklessness; nevertheless, he was dashing and aggressive, pursuing Robert E. Lee so relentlessly at the end of the war that he surely hastened the Confederate’s surrender at Appomattox Courthouse on April 9, 1865. After the war, Custer served in the West, fighting Indians. His career and his life came to an end on June 25, 1876, at the Little Bighorn River, Montana Territory, when, anxious to attack a band of Sioux, he failed to make reconnaissance and fell into a brilliantly executed ambush. He and some 200 men were overwhelmed and killed.